In 1809 work was well advanced on building the planned new village of Burghead, and, in the process, destroying much of what remained of the Burghead Promontory Fort. 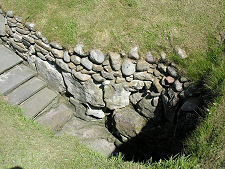 One problem encountered by the builders was locating a reliable source of fresh water for the village, and they decided to explore the local story of a lost well that had once formed part of the fort. What the builders uncovered was one of the most mysterious places in Scotland. 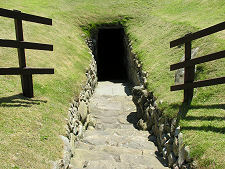 A flight of 20 stone steps led down into the ground to a square chamber, measuring 16ft or 5m square, cut into the natural rock at the base of a crag. Within the chamber was a square rock-cut tank surrounded on all sides by a ledge 3ft or 0.9m wide. The tank was 4ft or 1.3m deep and fed by water from an underground spring. While clearing out the chamber the objects recovered included a stone with a bull carved on it, one of many found in the remains of the fort (and, mostly, since lost), plus part of a Pictish stone cross and, oddly, a number of Spanish coins. 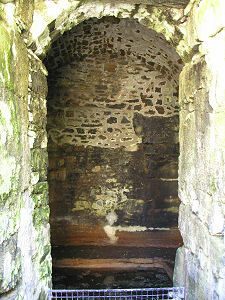 Also discovered was a semicircular pedestal on the ledge in one corner of the chamber, and a basin in another. A third corner has steps down into the tank. Having cleared out the chamber, the builders used explosives to deepen the tank in the centre to increase its capacity. 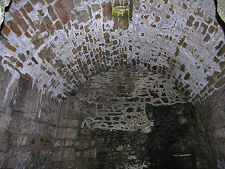 They then re-cut the access steps to make them more regular and covered over the chamber with a vaulted stone roof with a ventilation hole left in its centre. In the event, the amount of water flowing into the tank from its spring was never enough to make the well a viable source of water for the village. It was once drained and took a full six days to refill. The well was therefore simply abandoned while the village developed around it. 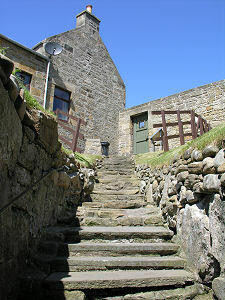 The theories explaining the origin of Burghead Well are many and various. For some it was built as a bath house by Romans, and it certainly looks rather like one. For others it was a place of Pagan worship of the Gods of the Earth, with the tank possibly being used for ritual sacrifices. Still others saw it as a Christian baptismal font. The key to understanding its purpose seems to lie in realising that the well stood within the area of the lower ward or annex of the Burghead Promontory Fort, a Pictish fortress that probably served as the capital of the Kingdom of Fortriu from the 300s to the 800s, until captured by Norse and reused by them. 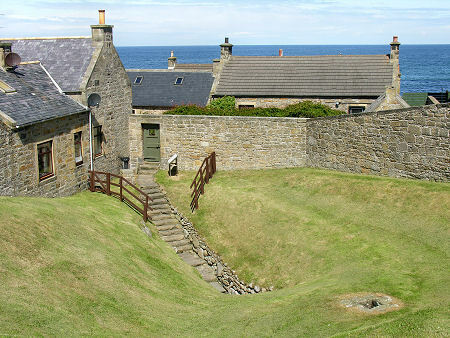 A fortress needs a supply of water, and it seems reasonable to suggest that Burghead Well served primarily as a source of water for the fortress, albeit one built on a pretty grand scale. 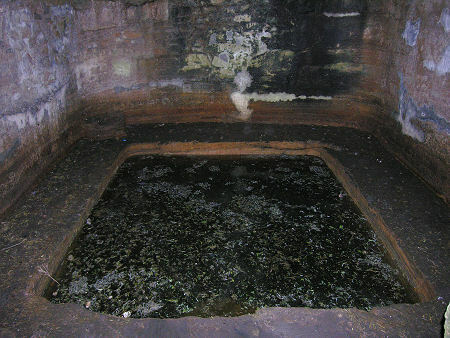 It could, of course, also have served as a source of water for baptisms after the Picts' conversion to Christianity. 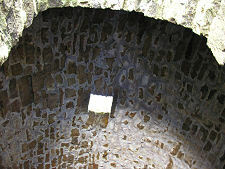 It is less clear that the well had any obvious Pagan purpose. Carrying out ritual drownings of your enemies in your own water supply doesn't seem very clever, and certainly not the sort of thing done in a sophisticated settlement that successfully supported its residents for some 500 years. 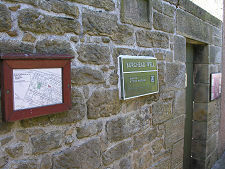 Visitors will find the well is signposted along an alley within the built up part of Burghead. Access is through a locked gate. 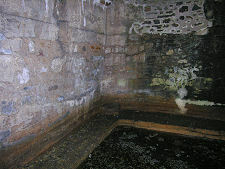 Current information about how to obtain the key can be found on the Historic Environment Scotland web page about the well, linked from the Visitor Information section of this feature. From the gate you descend into the remarkably impressive well itself. The literature suggests that the upper parts of the wall are (or were once) home to a frieze. If so, we certainly didn't see it on our visit, and our pictures show no sign of it. Key available locally: current info via the link above.